This pattern features beautifully hand painted autumn leaves of orange, tan, & silvery-green on a cream background with dark brown trim. Franciscan "October" started production in 1977 & was discontinued in 1984. Manufactured in Los Angeles California by Interpace. In 1976 Interpace sold the former Gladding, McBean Lincoln plant to Pacific Coast Building Products. 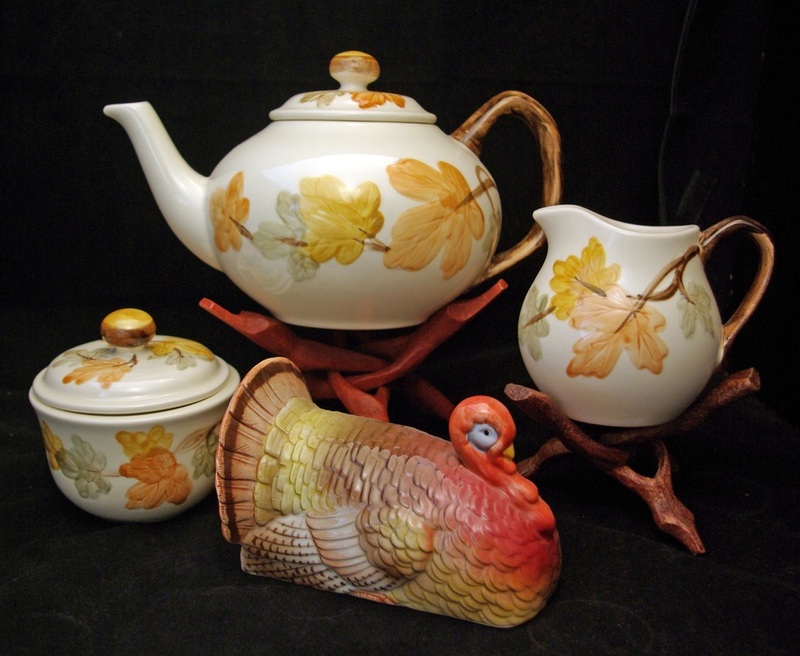 In 1977, all fine china products were discontinued. Legendary mid century dinnerware designers Mary Jane Winans and Otto J. Lund ﻿retired; and George T. James and Mineo Mizuno resigned in 1977.